Every once in awhile you pick up a book, and know within the first couple of sentences that it's going to be a favorite. The writing style speaks to you. You want to be best friends with a character. You find yourself invested in their struggles. You are rooting for them with all of your might. 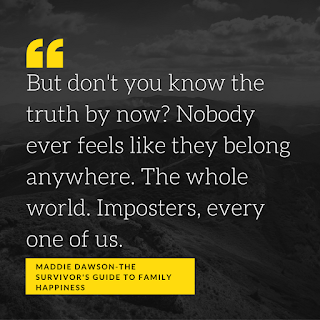 I felt this way about the character Nina Popkin in the book The Survivor's Guide to Family Happiness by Maddie Dawson. 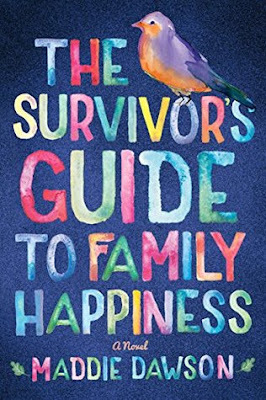 The Survivor's Guide to Family Happiness tells the story of three women, but I would say it's mainly about Nina Popkin and her craving to really belong in a family of her own. I love this character. I feel like I need to apologize to Isabel Spellman, as Nina is definitely my new literary BFF. The book starts off in 1979 with Phoebe, very pregnant and in love with Tilton...running wild on their last night together before he leaves for college, with their friend A.J. She is very young and still in high school, but we learn she already has a toddler at home and big dreams of her future. But the night ends in a hinted at tragedy. The rest of the book is present day...35 years later. Enter Nina Popkin. She is floundering a bit now that her adopted mother has died of cancer...and her ex-husband is happily remarried to the bank teller he left her for. All she wants is a family of her own. She has always dreamed of finding her birth mother and decides she is going to solve this mystery once and for all. She finds out she has a sister who grew up around the corner and went to school with her. Lindy is a successful businesswoman with 3 beautiful children and an anxiety issue. The last thing she wants in her structured life is a whirlwind like Nina. She has always been perfectly happy with her large adoptive family...or has she? Then Nina hunts down her mom...who is also a little less than enthused to meet the children she gave up. Phoebe has tried hard not to think about her past, and the painful event that led to the decision to give up her babies. Why rehash it? Is Nina ever going to get the family of her dreams? You know how much I love my dysfunctional family books, and this one has a little bit of everything in it...all wrapped up in a sarcastic and witty bundle. There is a little bit of romance. Some fabulous jokes about The Beatles. Crazy hair dye and frogs. A very unsuccessful and short get away drive. Laughs. Drama. Tears. An education on guys in bars bearing margaritas. And a fabulous and chaotic ending. In short, this book should definitely be on your To Read list. It would make a great book club selection, as there is much fodder for discussion. What makes up a family? How important is it? 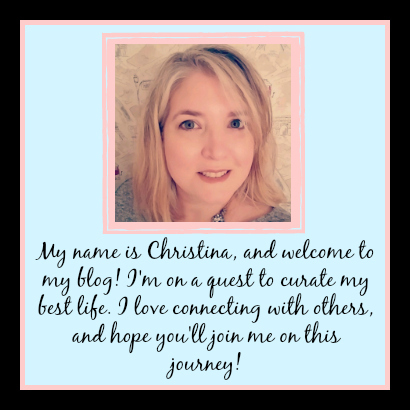 Do we ever really feel like we belong? Is it really crazy to throw food out your back door in protest? All important questions to ponder. I hope everyone is having a fabulous Labor Day weekend! Are you reading anything spectacular? Let me know in the comments, or over on my Facebook page.